Our product range includes a wide range of pp frp pvc blowers. polypropylene moulded impeller available in various sizes 10”, 12½”, 17” and 24” dia for PP exhaust fans. 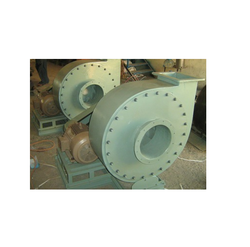 FRP fan upto 35,000 CFM capacity & all fans are tested as per ISI Specification No IS 4894-1968 for capacity and W.G Pressure.